I hope you all had a wonderful weekend. I wanted to get a jump start on my Valentines cards and made this one for Scott. Looks a little too foofoo for a man but I do love how it came out. I think it would make a great wedding card by changing the I love you to Mr. and Mrs. 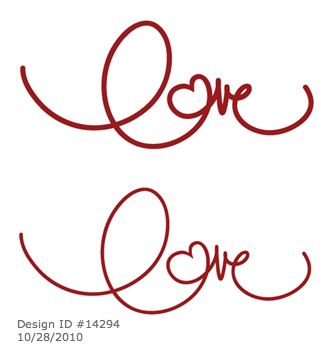 Here are the images I used for the card that I purchased from the Silhouette Store. 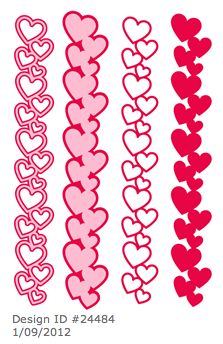 That vertical heart border is just the cutest. I love this card...soooo pretty!!! 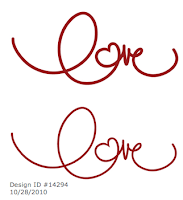 Loving your card! It's so simple yet elegant. Beautiful job! I have the Silhouette now so I'll be getting those images. Love it!! I need to look for those die cuts in SIL. Fabulous card, amazing video....YOU ROCK SIS!! Love this, Christina! I need to pick up those shapes in the Silhouette store! Very nice! 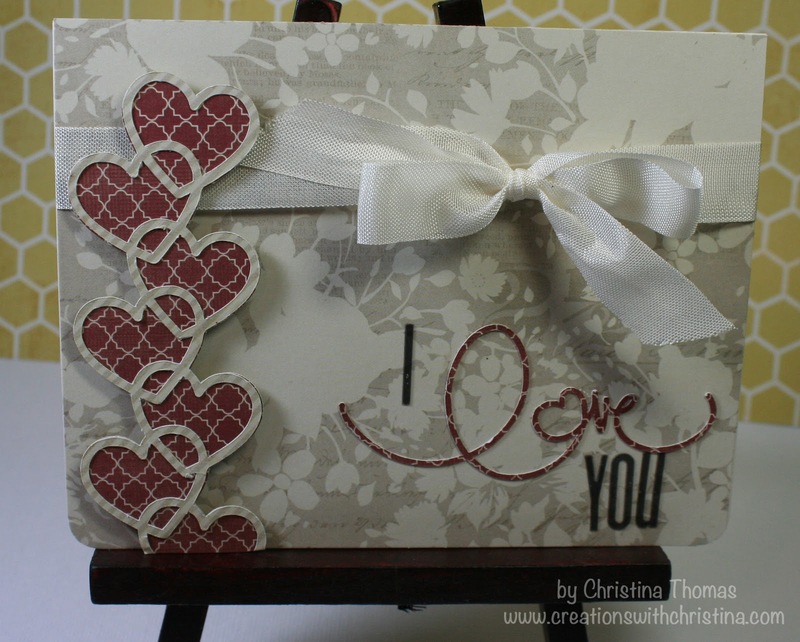 Sweet and pretty card and love the 2 diecut shapes you used. Thanks for sharing. Christina I always enjoy your videos and this is another fabulous card by you! Thanks for sharing! You always make it look so easy. Pretty card. Your hubby is going to love his card. You did a great job Christina. Lovely card. The heart border is really a great touch. You made a beautiful Valentine card. I think you make some of the best tutorials in the blog world, too. Very beautiful. I love the idea of this card for a wedding card. Beautiful Card! Can you tell me about the ruler you used? I've never seen that technique before. I'm new to the scrapbooking and cardmaking art, and I'm trying to soak up as much as I can from watching the crafting videos. Thanks for sharing. Using a ruler is great for lining up those letters straight. The one I use in the video is by Tim Holtz. You can find them at Michaels. The ruler also has little holes that will let you do some paper piercing as well. Thanks for the tip. I look forward to watching more of your beautiful creations. I also appreciate the Silhouette Series. I just purchased one and am trying to learn how to use it. Absolutely gorgeous, Christina! Thanks so much for sharing the Silhouette ID numbers - very much appreciated. I'm also enjoying and learning from your Silhouette series. I've only had my Silhouette a little over a month, and still very much a beginner with it.